Bragging about NeuroMOOC students – The brain is sooooo cool! 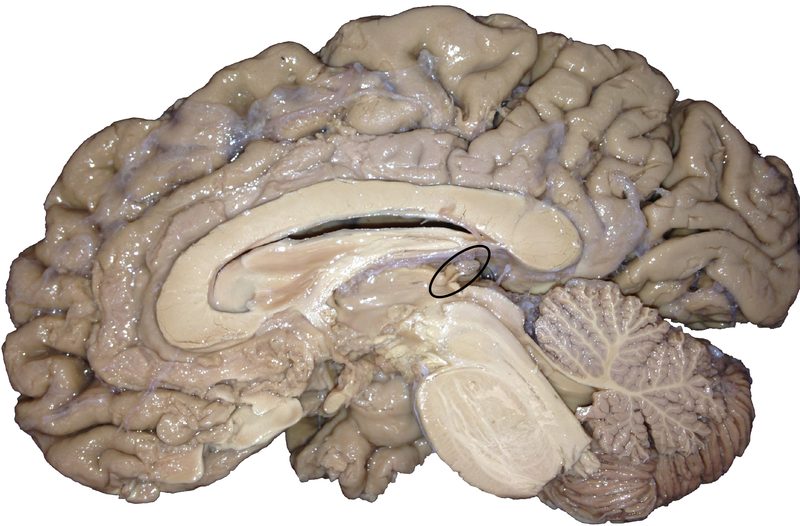 The pineal gland (in black circle) is inside the cranium but outside the brain, inside the dura but outside the pia. No kidding!! When I was first approached to teach a massively open on-line course or MOOC, I had never heard of the acronym and was only dimly aware in a vague way of Coursera and edX. Now, roughly 9 months later, I am finishing week 1 of my (really ours – doesn’t happen without an amazing team) very own MOOC: Understanding the Brain: The Neurobiology of Everyday Life, NeuroMOOC for short (@NeuroMOOC in Twitterese). The experience has been transformative. And the students are clearly enjoying the experience too! Not only are they enjoying it, they are incorporating what they learn into their experience of everyday life. For example, myelin has truly resonated with the students. The spouse of a former on-campus student is taking the course and my former student forwarded her spouse’s text message, “Super glad I have myelin because I almost fell while stretching. Whew for quick moving neural signals… Like, cheers for myelinated axons, amiright?! ?” Two days into the course, Armando Duvoli found another use for myelin. He tweeted (@TrustInSciences) “Next time I’m upset I’ll just remember that at least my axons are Mylinated @neuroMOOC #LovingThisClass”. Myelin being used for balance and for mental health – awesome!! There is much fodder in this MOOC for many posts to come but for right now, I am going to stick to one big brag about the amazing, smart, clever students in Understanding the Brain. NeuroMOOC students are working and thinking and not settling for superficial information without understanding. 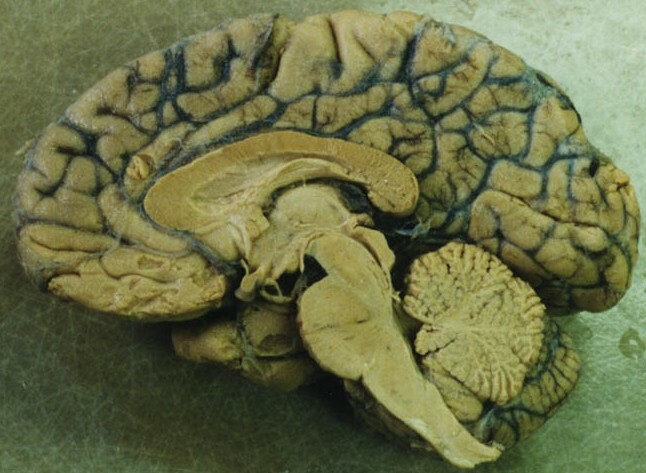 The example that is the primary subject of this post started after I introduced the three layers of meninges (dura, arachnoid and pia) that surround the brain. I then explained how oligodendrocytes are glial cells that myelinate axons in the central nervous system and Schwann cells are the glia that myelinate axons in the peripheral nervous system. My response was as follows: Dura as armor is a great analogy but pia is delicate and aimed at chemical rather than mechanical protection. So rather than viewing pia as padding, let’s think of pia as an environmental sealant, such as the polyurethane that is put on top of polished and stained wood. I couldn’t and still can’t think of a good analogy for arachnoid so we’ll leave that aside. The question then becomes, where is the edge of the brain? The answer is clear: it’s at the polyurethane, at the pia. The pia constitutes the blood brain barrier or BBB. Anything inside of the pia is brain/CNS and anything outside of the pia is PNS. Anything inside the dura of the skull is located in the cranium or intracranially. Taking this concept further, we see that there are several areas that are inside the dura but outside the pia and still inside the cranium!! The pineal gland (see photo at top) is a good example. The pineal attaches to the back of the midbrain, between the two superior colliculi. The pia gives out at the stalk. The pineal is not neuronal but rather a gland. It is one of a small number of tissues that is derived from neural tube but is not neural. Other examples include choroid epithelium (part of the choroid plexus) and the septum pellucidum. To return to our original problem, the axons of cranial nerves (nerves that leave the skull rather than the spinal nerves which leave the vertebral column) exit the brain and leave the protective confines of the pia, while still well within the cranium and dural sac. As they exit the pia, these cranial nerve roots (the name for the nerves as they travel between the brain and the dura; spinal roots are the axonal bundles that travel between the spinal cord and the dura) get invested with Schwann cells. And yes, the same axons that are covered in Schwann cells outside of the pia are covered by oligodendrocytes inside of the pia. As bundled axons (spinal or cranial) transition from central roots to peripheral nerves, dura is continuous with a tough membrane called epineurium which is the analog to dura in the PNS (you didn’t think we were going to leave those peripheral nerves completely vulnerable, did you??)…. Dura also extends out to cover the optic nerve and the back of the eye before it transitions into sclera which is in the front of the eye and which we see. “I was revisiting my neuroanatomy books to try to help solving this matter and I have come across this structure, the sellar diaphragm, that seems to be an infolding of the interior layer of the dura mater that covers the superior part of the hypophysis. That has left me with the impression that the dura would only cover the “roof” of the sella turcica, although, by saying only the most interior layer of the dura folds to form the diaphragm, the book may be implying that the inferior part of the sella is covered by the whole dura mater. I’m still not sure, but I’ve found this picture (cannot guarantee the reliabilty of the source) that seems to indicate that indeed the dura mater involves all of the pituitary – https://www.dartmouth.edu/~humananatomy/figures/chapter_43/43-22.HTM. Regarding the pia mater involvement (no pun intended ^^), I’ve found no reference at all, so far, about its relation to the human hypophysis. 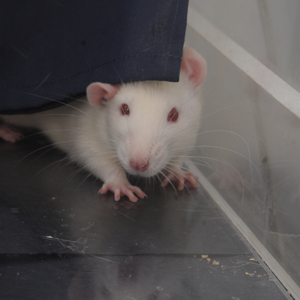 However, I have found one article at PubMed about rats pituitaries that indicates only the neuro-hypophysis (posterior lobe of the gland) is covered by the pia mater, which I think is consistent with the fact that this part is almost an extension of the hypothalamus – http://www.ncbi.nlm.nih.gov/pubmed/7139318. And there are these three articles that imply the pituitary is either partially or not at all covered by the meninges, or even that the capsule it is surrounded by is originated from a primitive pia mater: a) http://www.ncbi.nlm.nih.gov/pubmed/23361322; b) http://www.ncbi.nlm.nih.gov/pubmed/7373394; c) http://www.ncbi.nlm.nih.gov/pubmed/845648. I don’t think that Felipe’s erudite contribution requires a word of commentary. First, Felipe is my teacher and I am his student. This is the ultimate dream for anyone interested in education. Talk about flipping the classroom!! Second, there are no flies on NeuroMOOCers. NeuroMOOCers are a smart, engaged, interesting and interested lot. Third, my colleagues in academia who underestimate the general public, do so at their own peril. Fourth, I have long had the hunch that the level of public discourse rises to the level that those in-the-know are willing to share and able to explain. These days leaders and experts talk down to the public. I don’t know whether that is because they are unable to explain themselves (suggesting they may not know what they are talking about) or because they think that the public is not smart or interested enough to understand. Regardless, NeuroMOOC is evidence to me that people will soak up information and think deeply if given the opportunity and the information. I will end this post on a very serious note. To wit, what could be more fun than obsessing over the nervous system? MOOC on, NeuroMOOCers! It’s good for the students and it’s good for the teacher. An unanticipated benefit from the tweeting NeuroMOOCers is neuro-humor. The most recent example of which making the rounds is “Thanks glial cells for always cleaning up my neurons mess. #Appreciation @neuroMOOC,” another gem from Armando Duvoli. I took “Genes and the Human Condition” on Coursera last fall (a really fascinating class, packed with stuff I had no idea about), and one of the vast variety of things mentioned was the fact that you can take tens of thousands of humans who are strangers to each other, pack them into a football stadium for an afternoon, and, almost always, everything is fine. No fights. No maimings. Our prof commented that if you tried stuffing a football stadium with chimps (our closest relatives), you would get wholesale mayhem. That really opened my eyes. I’d never thought about the quality of our behavior toward ourselves, or others, in comparison to other apes. “Get along” is a continuum, and, for primates, I guess we do it better than I’d always thought. That was the most encouraging thing I’d heard about humanity in a long time………… Which is not to say we don’t have huge (HUGE) room for improvement, but considering where we came from, well, we’ve come a long way! And theoretically speaking, if there were that many bonobos left in the world to do the experiment and if you could have them all choose to gather in one place under some ruse, they may be just fine. We can never make it voluntary for 10 non-human strangers-to-each-other apes to be in a small space, because we’re never finding strangers near enough to each other to even imagine enticing them into that small space. We could remove the “voluntary” part for the humans as well as the apes, not that I would ever would advocate abducting anyone (of any species) and tossing them in with a bunch of strangers. Thank you so much for sharing your knowledge worldwide–literally! I’m sure I speak for the class when I say your passion is contagious. We have a NeuroMOOCers study group on Google hangouts twice a week. Would it be possible to have you, or a staff member, stop by one week for a chat session with students? Again, thank you for your passion and dedication professor. That is so majorly cool to me. People from all over the world and all walks of life getting e-together to talk about neurobiology is Handel, Haydn, Mozart and Beethoven, oh and Mahler, to my ears. Definitely. We can arrange that. I see your email and will contact you for details. We also have a FB group which is sharing ideas and engaged. Thank you for this challenging course. It has been 40 plus years since I took biology, so this is new to me, but your explanations are great and my fellow students helpful and fun. Dendrites, axons and meninges, oh my! Dendrites, axons and meninges, oh my! Enjoyable, enthusiastic, and erudite étudiants, oh my! Yours is far catchier by the way…. I would like to add another thought to what makes MOOCs such a great institution. This is my 3rd Coursera course I am following seriously and I have totally fallen in love with the MOOC concept. As a 46-year-old single working mom who considers herself a life-long-learner, the impossibility to access good University-level courses of my interests, due to time constraints, distance and other problems, over time left me increasingly frustrated and intellectually starving. MOOCs are the perfect solution and in certain aspects even have some advantages compared to regular University classes: for example I can follow lectures at home (yes, even in my pyjamas as Heather wrote) and whenever I have time, I can “stop” or “rewind” the professor to take better notes (not possible in normal University) and can even read the subtitles to help me understand better what I didn’t hear well (you don’t carry subtitles with you during regular lectures, do you?). Thank you so much from a dedicated NeuroMOOCer in Italy! I have become a MOOC believer too, both as a teacher and as a student (not right now but when we’re done with NeuroMOOC). MOOCs make possible learning and teaching at a scale that has never been even conceivable. Thank you for the time you out into sharing your knowledge and passion for the brain so openly and free. I am taking your MOOC for two reasons. First, 2 years ago I had a kiwi size hemangio type brain tumor removed from my left cerebellum area. My husband of 20+ years has MS, known for the past 18 years. His brother was diagnosed with MS a few years ago. Last summer, my daughter teen, had to learn how to walk without feeling her legs, using “muscle memory” it was surreal to watch. All that said, I concur THE BRAIN IS SOOOOO COOL! And I am just starting to learn in more detail how cool, thanks to your MOOC. Thank YOU for your wonderful post and for sticking with the brain even after she has failed you on more than one occasion. I am so happy that your daughter is maybe coming back from her hurt. I hope she finds a way to re-engage. And when it comes time for college, I hope she’ll consider UChicago. We want passionate, caring interested people here. I love your class! Your passion for the brain makes me love it even more! 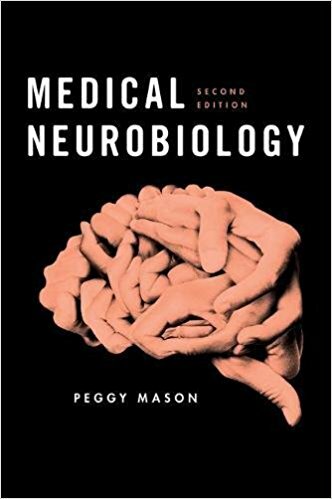 It makes me extremely excited to start my Neuroscience undergrad major this Fall! Thank you for the class! And also, your blog is awesome! Thanks so much! Where will you be in college? UChicago is a great place. And I’d love to have NeuroMOOCers here. Ahhhh! You’re part of our Canadian contingent. All my in laws are in Canada. Bishop’s sounds great. I think liberal arts is the way to go. Enjoy your chance to learn a variety of subjects. And whatever you don’t pick up in college you can always get later in MOOCdom. Pingback: Neurons outnumber glia? Yup, a fact learned from a NeuroMOOCer | The brain is sooooo cool! Linking to my blog is great. Glad you like it. Pingback: Announcing a new online neurobiology course from NeuroMOOC!! – The brain is sooooo cool!